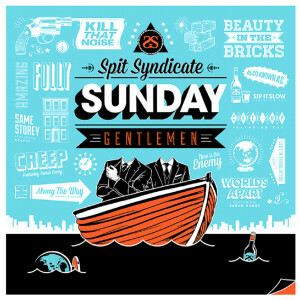 Continuing their growing success of the past few years, Spit Syndicate have released their third album Sunday Gentlemen, named after the 1966 Irving Wallace book of the same name. 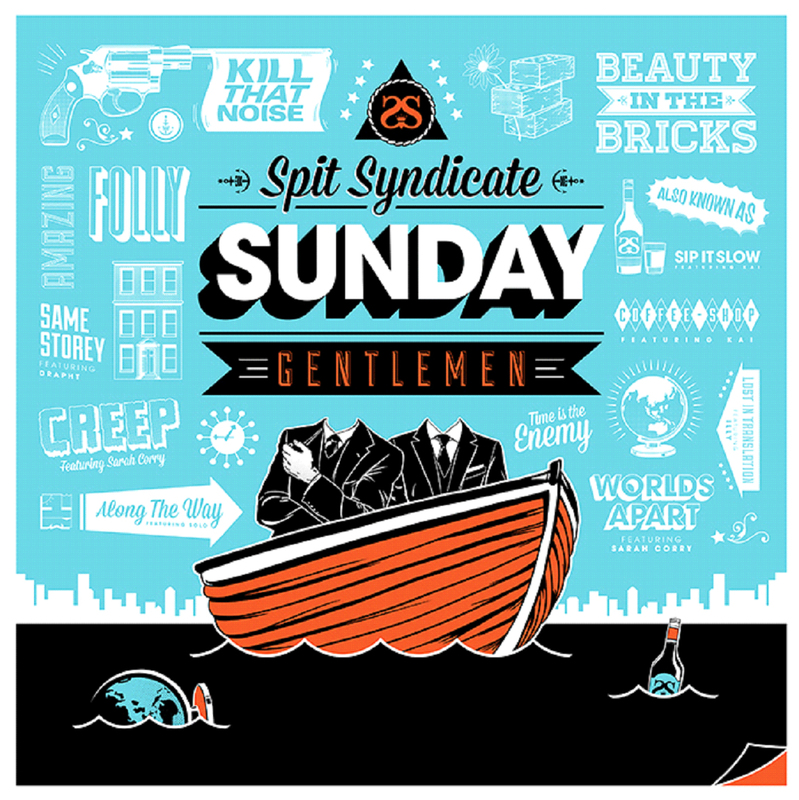 Sunday Gentlemen contains Spit Syndicate’s signature of soulful beats, well-crafted songs with melodic hooks. The album is primarily produced by Horrorshow’s Solo as well as Crabbz, who are responsible for much of the album’s spacious and melodic sounds. The album contains several collaborations from both singers and MCs, with names like Drapht, Illy, Solo, Sarah Corry and Kai all contributing to the record. First single Beauty In The Bricks gives a fairly good indication of how the album sounds as its keyboards create a dynamic intro to the song coupled with its build-up and anticipation. Folly is also also an extremely radio-friendly song, with guest vocals by Cheyenne Kavanagh giving the a very soulful quality. Lost In Translation is the token M-Phazes track which is crafted through a melodic keyboard riff. The track gradually builds up towards his trademark drum sounds and a hook which is very spacious and atmospheric. This is one of the strongest tracks on the album due to the production and the melodic structure. Sip It Slow is another interesting track due to its use of synths and drum patterns. What makes tracks like this interesting is that they’re completing foreign for Australian hip hop and create a sound that’s not often heard and deviates from the norm. Spit Syndicate are very good at creating their particular sound but the problem is from a hip hop perspective it doesn’t really go very far. There are a few good verses on here but for the most part it doesn’t have any lyricism that makes you think twice. What holds up this album is the musicality of the production and the type of beats they use. It’s a very safe album mainly due to the fact that it only travels in one direction which focuses on the beats but not enough emphasis on the lyrics. In contrast to their debut album Towards The Light, this album doesn’t hold the same fluency and cohesion, often at times sounding pedestrian and unimaginative.